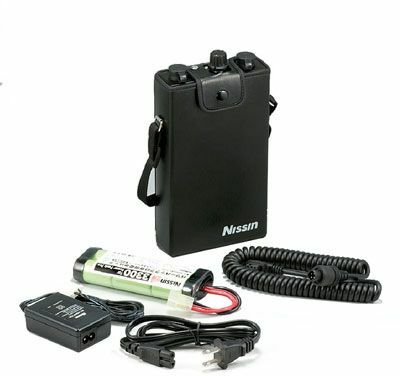 Nissin Power Pack PS-300 is an external high power booster for professional electronic flash. A variety of power supply cables are provided for Nissin flash or other brands. High speed charging and high power features ultimate the joyful of shooting experience to professional photographers and never miss the precious moments. Power Pack PS-300 provides high speed charging, approximately 0.7 seconds to recharge Di866 flash. Power Pack PS-300 provides 2 power sockets. Users are able to work with 2 flashes at the same time. A variety of power supply cables are provided for different camera brands. The metal-made shell provides perfect protection. It is safe and durable. Flash power supply cable: Type N. Type N for Nissin Di866 model (Nikon version) or Nikon’s original flash with external power socket. Note: No flash can be released, when batteries are not inserted in the flash unit.